SpongeBob's job at the Krusty Krab is jeopardized by a multi-purpose robot--but is there more to it than meets the (single, cyclopean) eye? 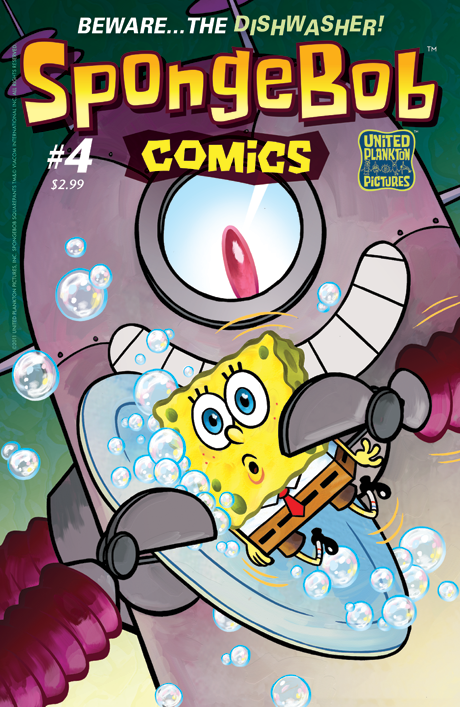 Also: SpongeBob and Patrick do a simple favor for Sandy, which of course leads to disaster, woe, and rappelling. BONUS: Plankton's family tree is revealed. All this, plus short bursts of brilliant SpongeComics by indie darlings Stephen DeStefano, Sam Henderson, James Kochalka, Dave Roman, and Joey Weiser.